From my seat I see the fields move by, colors strong, it’s been a long, long time. It’s the first time I see summer on the Westhill. I lean back and let my eyes just go floating now where they want to float. They seem to take to the horizon. Now I know there is a world beyond the small place I was coming from. I feel at home here in the middle of nowhere. I will never know the names of these places that I travel through to reach the coastline- I’ve been told I been there. 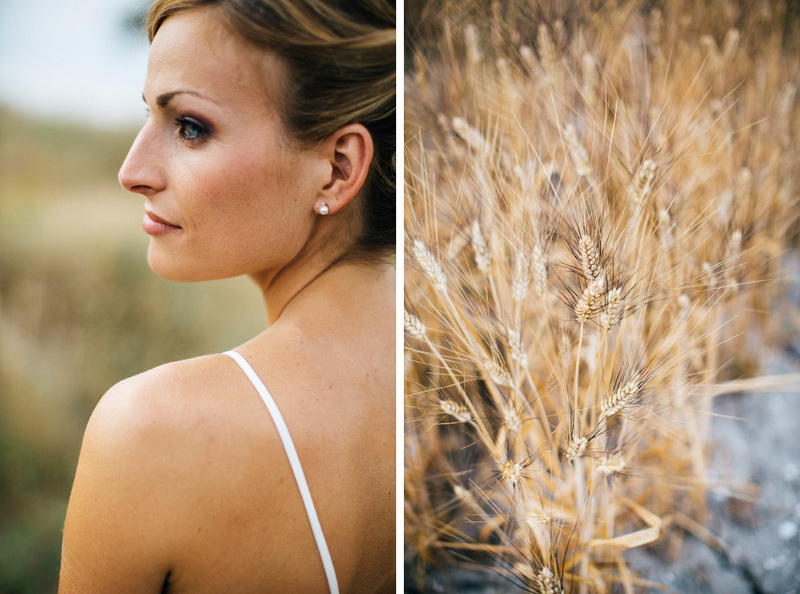 This is Andrea and Federica wedding, a very close and special couple for me. Being a photographer means, in my humble opinion, to have and develop a fine sensibility and to know ‘see’ differently. This, let’s call it, ability always helped me understanding people, understanding emotions and love. I instantly felt a deep deep love in between these guests souls. They have a long story behind, a story made by very happy days, but also some not as good ones. Life is fragile, and they made their pattern strong being together, loving each others, supporting with as much care and strong feelings as possible. 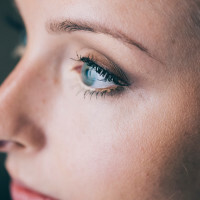 Being friend of them helped me to create a close relationship: we didn’t need to speak, or talk, we just were communicating with eyes. Every time I saw these pictures I remember the Tuscan breath of those hills, the silence, the warm wind and the powerful sun of that day. 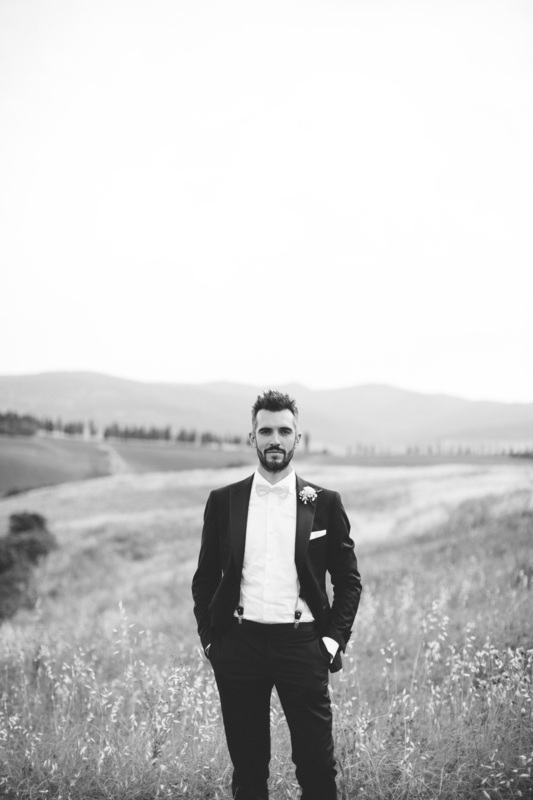 This destination wedding was made in Lajatico, near Il Teatro del Silenzio. It’s an amazing area in Tuscany, near Pisa. Federica surprised Andrea with a beautiful and elegant Yolan Cris wedding grown and we decided to taking a few pictures in a hill area in the middle of Tuscany, close to their venue. We were lucky, in an empty place, surrounded by mother nature. At the end of our portrait session we just sit to listen the amazing lack of sound. They just finally got married, they consecrated their union forever. And I was lucky enough to be present and to be a witness of their love. Photography is memories. And every time we all will take a look to these pictures we will remember the emotions and the feelings of that day, and every little piece of history that made possible Andrea and Federica to arrive to their wedding day. 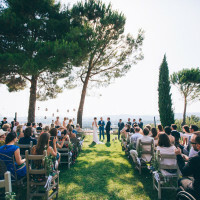 Destination Wedding in Conti San Bonifacio, Italy.